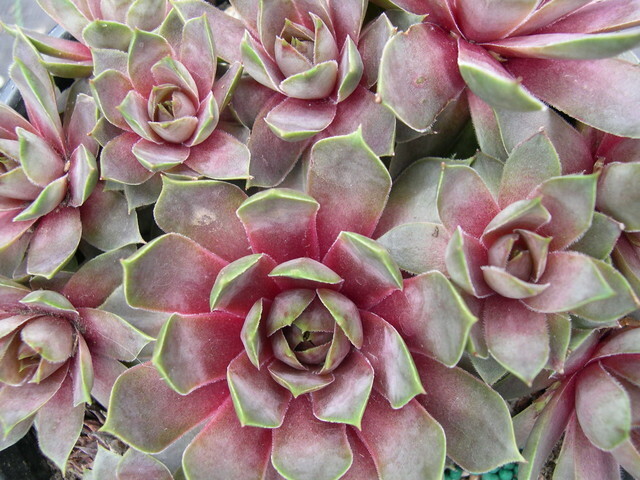 Purple rosettes blending to light green. Red chicks on red stems. Medium size.